It is impossible to write about Ajeet Singh without mentioning the Marwari horse. In certain circles in India the Marwari horse is a love and an obsession. 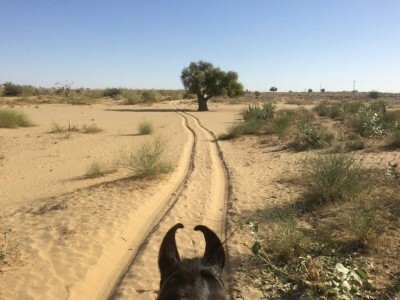 Facebook posts from friends in most parts of the world are about wives and girlfriends, starlets and harlots; my Rajasthani friends post endless pictures of their Marwari horses. The dashing Ajeet Singh in his yellow turban. It is a noble breed with a noble history. Marwari were bred by the Rajputs, the ruling class of feudal Rajasthan, as a warhorse, the horse of the famous Rajput warrior. 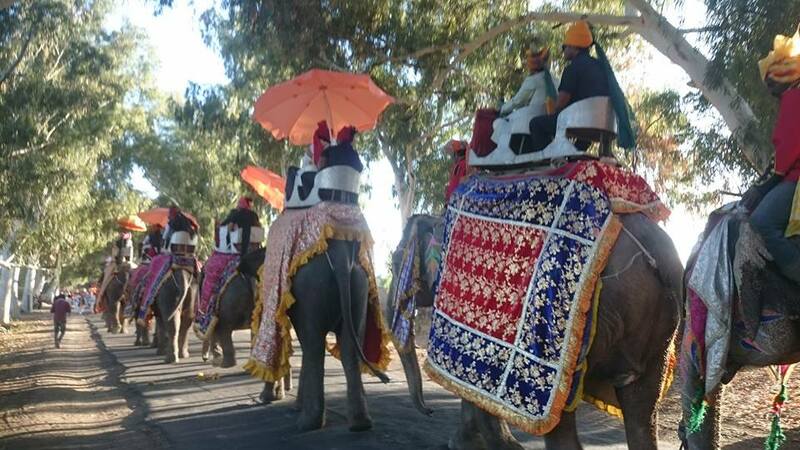 It is the horse of Maharajahs and legends– a symbol of loyalty and power and they still enjoy a reverence of mythic proportions in Rajasthan today. 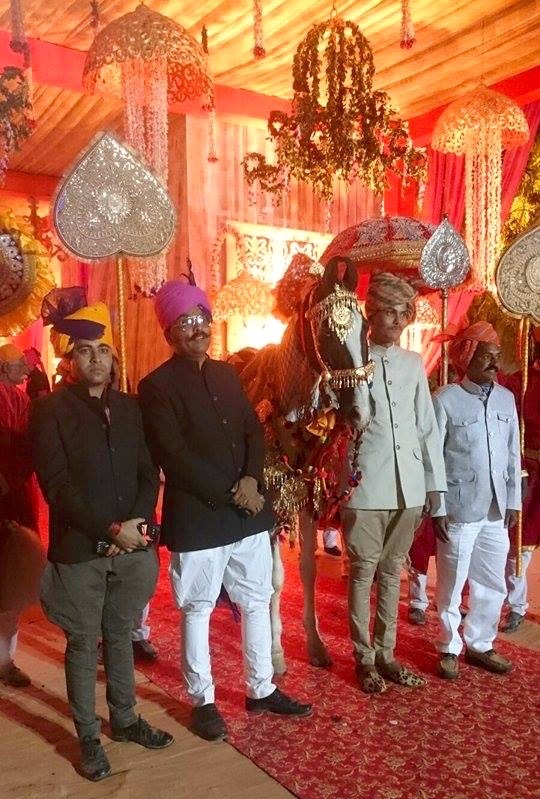 Such was the bond, that modern day descendants of the Rajputs have rescued the resilient and beautiful Marwari from a period of neglect and possible extinction during the years of the British Empire and the early days of Indian democracy. The horse is easily recognized by a unique and singular physical characteristic – its jaunty little bow shaped ears that often meet at the tips – as well as its proud and graceful bearing. While it is no longer needed as a warhorse, the horse now plays an important ceremonial role. 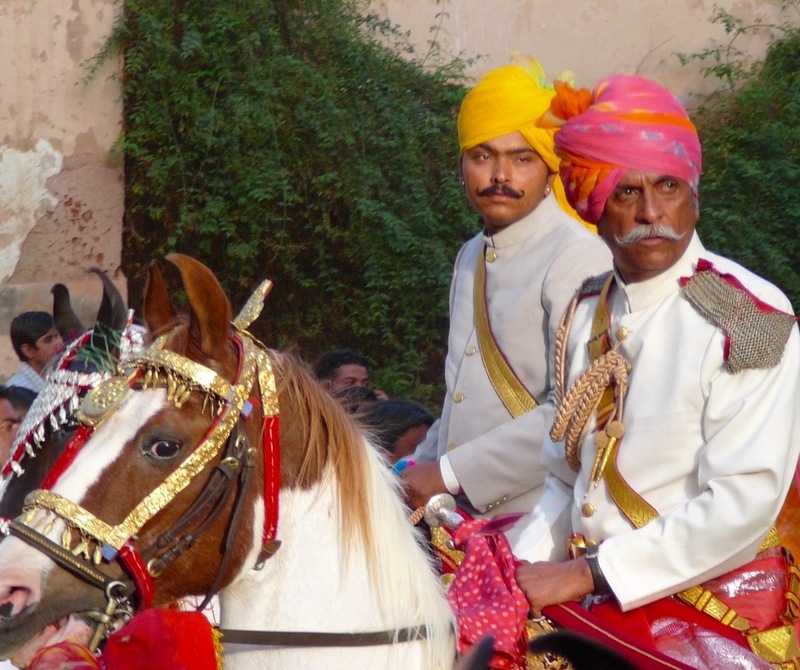 There is no spectacle, pageant or parade in Rajasthan complete without the Marwari horse. 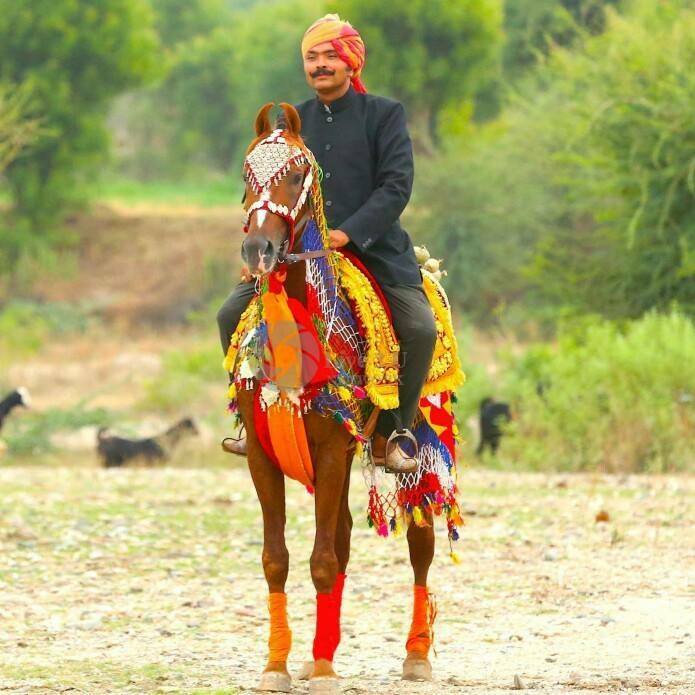 Ajeet Singh, the son of a famous Marwari horseman inherited the bucolic Shikarbag Godha stud farm in Narlai, Rajasthan as well as the family bloodlines. 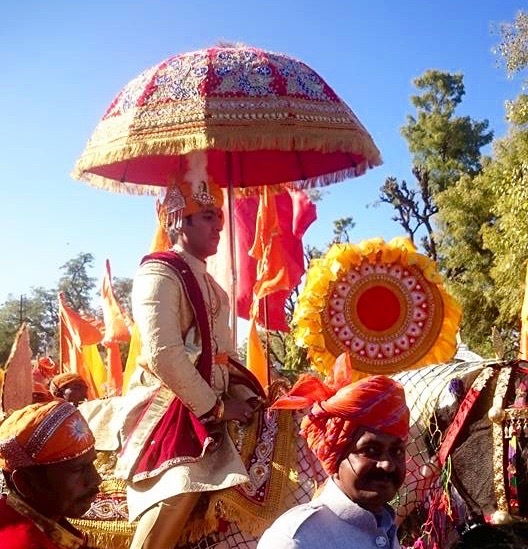 He has also become famous as the producer of Royal pageants and processions on the grandest of scales. The dashing Ajeet Singh in his hot pink turban. 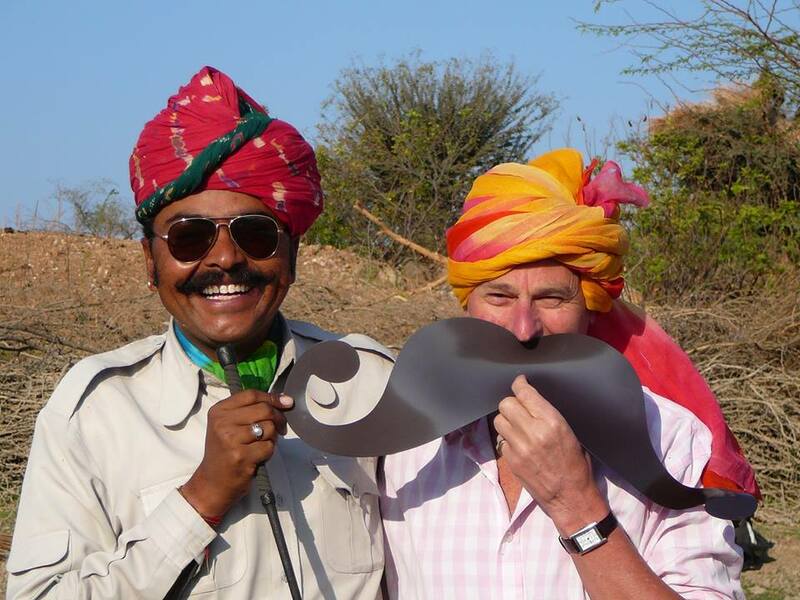 I had the pleasure of hanging out with Ajeet for a couple of weeks on a horse safari in India (www.reliefridersinternational.com – more of this later). 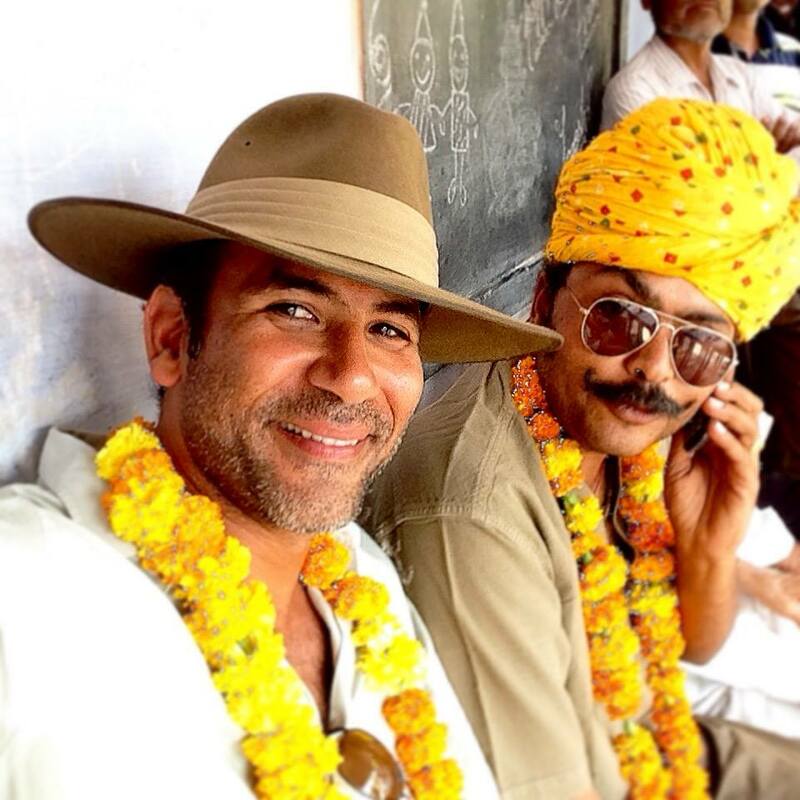 Seen here with my friend Alexander Souri of Relief Riders. You can imagine my sense of yearning when he posted THIS on FB. Nooooo – not without ME – that’s just not fair! 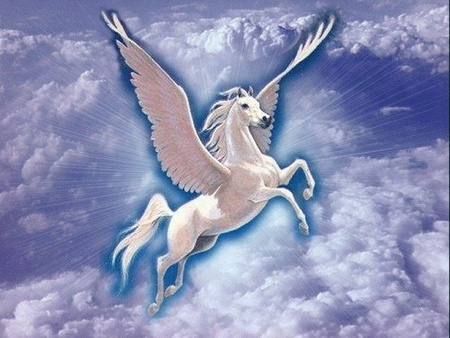 Where is my magical flying Marwari-Pegasus to transport me to India in a nano-second? I have, in a distant past, produced a few parades and spectacles myself (Opening Ceremonies World University Games, Opening Ceremonies of Expo ’86) but never with 21 elephants! My love of pomp and circumstance knows no bounds. And Elephants! I begged him to send me pictures. 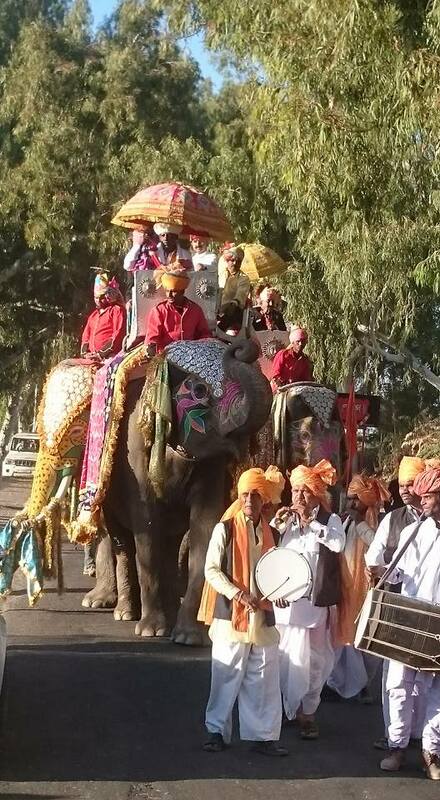 This glorious procession was created for the wedding of Mr Aadity Singh of Lonavala in the Pune district of Maharashtra and Ms. Apeksha Kumari of Tolasar Bikaner. We wish them well. 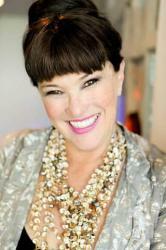 I am a jewelry designer and travel blogger and have lived my life on four continents. Along the way I developed a knack for travelling light. Dump the baggage.